Hybrid striped bass are a cross between striped bass (Morone saxatilis) and white bass (Morone chrysops). The hybrid has improved characteristics over both purebreds including better resistance to disease, better survival, and generally greater resilience against variable environmental conditions. This makes the hybrid striped bass an ideal candidate for aquaculture. 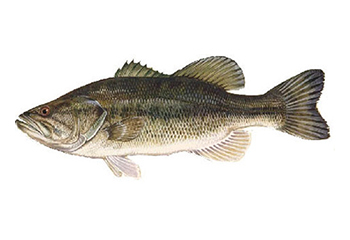 Additionally, the culture of hybrid bass relieves fishing pressure on wild stocks. There are some uncertainties regarding the sustainability of the fishery that is used to feed the striped bass. However, the bass require relatively moderate amounts of protein to grow, especially in comparison to Atlantic salmon that require high amounts. Broodstock is sourced from wild populations, but there is no evidence to show that this negatively impacts wild stocks. Risk of escape, disease, and predator mortalities are extremely low since tanks are closed and on land. losed systems allow for waste water to be treated, or used as fertilizer. They therefore have minimal impacts on the surrounding habitat and ecosystem. Striped bass is a large anadromous fish that inhabits the US east coast. It is a popular commercial and recreational fish and was overfished in the 1970’s and 80’s. This caused significant declines, especially in the Chesapeake Bay area where pollution of the water was also a contributor. Strict management and less pollution in Chesapeake Bay has allowed the bass to rebound. There are multiple stocks located along the Atlantic coast with the most common ones being Chesapeake Bay, Delaware Bay, Albemarle Sound, the Hudson River, and the Roanoke River. Populations are currently abundant, although the Chesapeake Bay area has experienced overfishing and biomass declines in the past. Management of Striped bass caught by hook and line is considered comprehensive and effective. Management measures include, fishery monitoring, quotas, size limits, overfishing thresholds, etc. In addition, a stock assessment is performed every year. Hook and line gear is associated with very minimal amounts of bycatch and is considered to be quite benign with respect to habitat damage. According to the latest stock assessment performed in 2015, the Atlantic striped bass stock is neither overfished nor experiencing overfishing. Atlantic striped bass caught by gillnet net are not sustainable due to the bycatch of some species of concern including Atlantic sturgeon, shad, weakfish, and river herring. Hook and line gear has minimal bycatch concerns. The fishery is managed by the Atlantic States Marine Fisheries Commission (ASMFC). Management is moderately effective and numerous regulations are in place to control the fishery. Gillnets make contact with the bottom sediment and cause moderate habitat impact. Hook and line gear causes negligible habitat impacts.